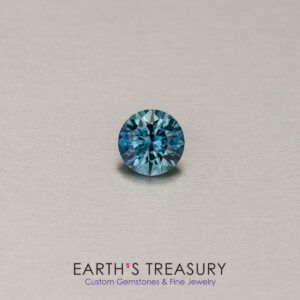 A gorgeous teal blue heated Montana sapphire in the classic diamond round brilliant design, 0.97 carats. 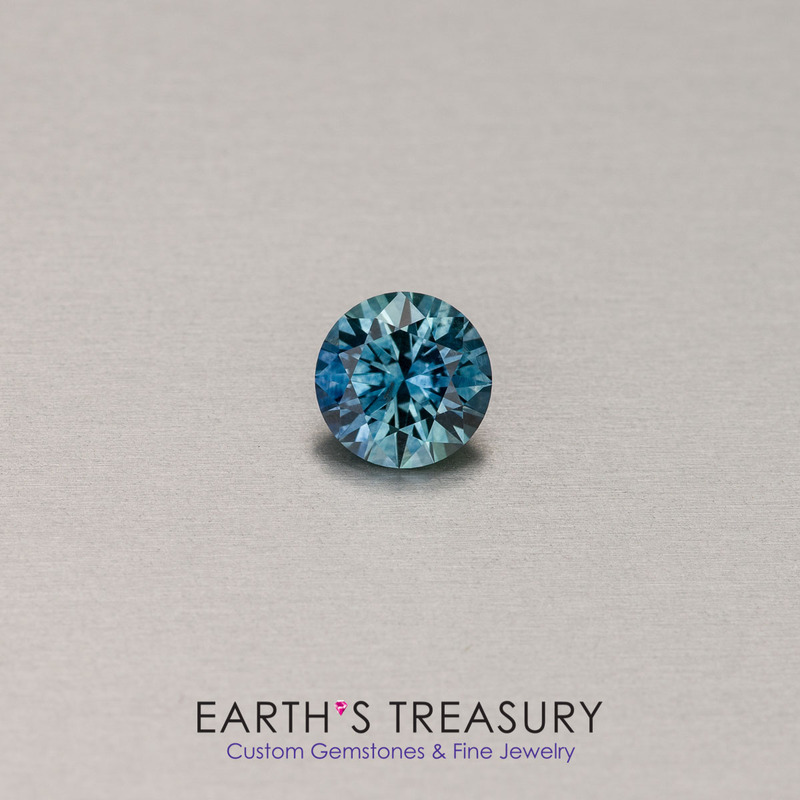 This beautiful heated Montana sapphire is a gorgeous teal blue, one of the finest shades of blue found in the Montana gems. 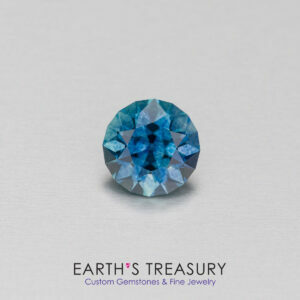 The color was developed by heating the gem in Montana, but no other treatments were made to the gem. The treatment is permanent and stable and not only develops the color, but also improves the clarity. 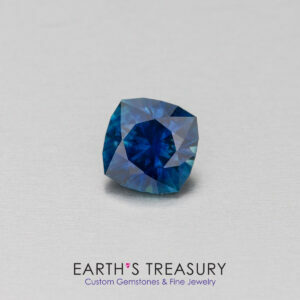 The sapphire has excellent clarity. There may be tiny inclusions that are visible with a 10x loupe that can’t be seen with the naked eye. 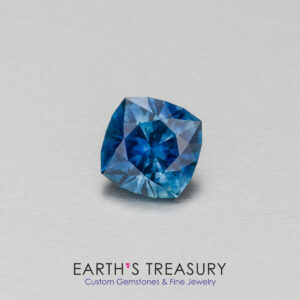 This sapphire is faceted in a modified version of the classic diamond round brilliant design that is optimized for sapphire and cut to “hearts and arrows” precision; the result is a glittering beauty of a gemstone. 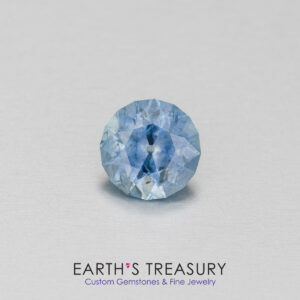 The gem weighs 0.97 carats and measures 5.9 mm x 3.8 mm; the perfect size for an engagement ring.